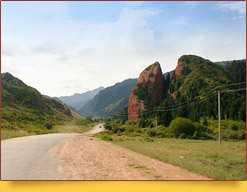 Lake Issyk-Kul - a picturesque place near which you can see the magnificent natural landscapes. 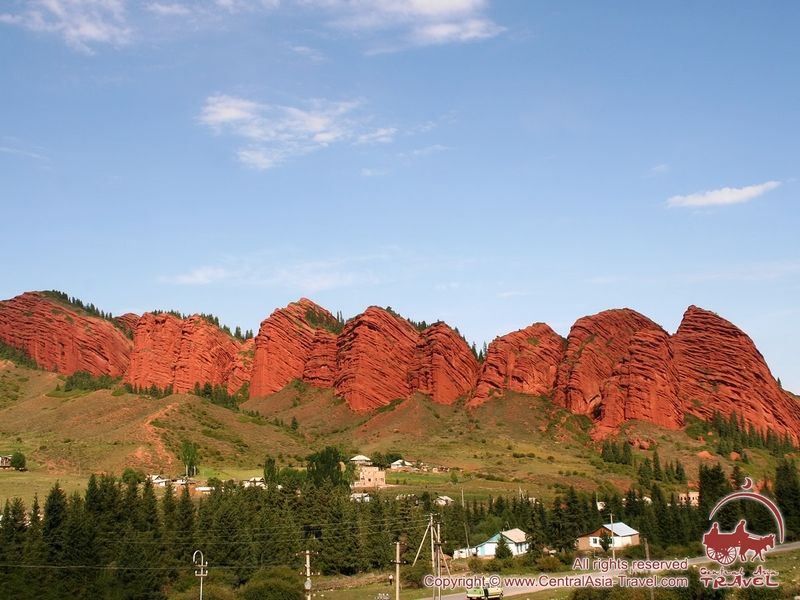 One of them is the Jety-Oguz gorge (“Rocks of Seven Bulls”), located 30 km west of Karakol town on the northern slopes of the Terskey Alatoo ridge. 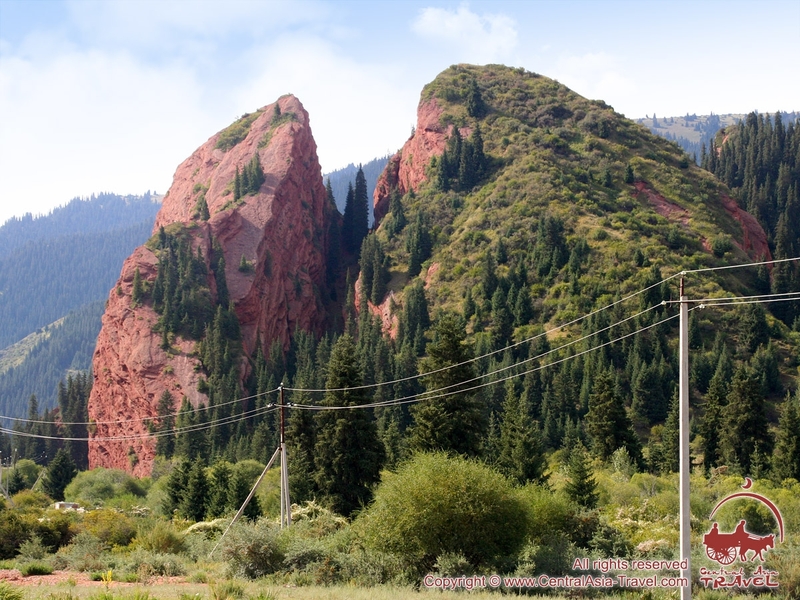 This is one of the most beautiful sights of Kyrgyzstan, a mountain valley formed by the Jety-Oguz river, which flows into the Lake Issyk-Kul. Vacationers regularly come here to enjoy the magnificent views and improve their health in the “Jety-Oguz” resort built near a hot spring. There was once a settlement - Usun governor base. 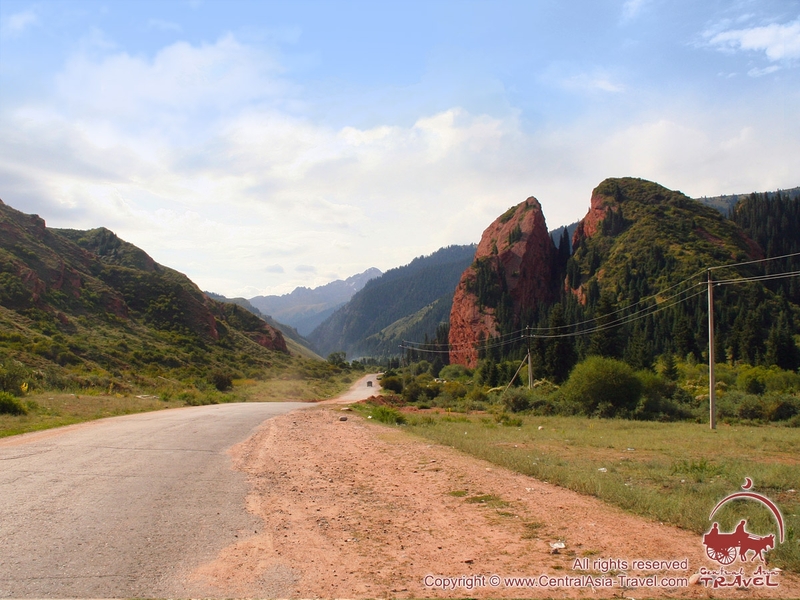 Nature of the Kyrgyz Canyon. In the small rivers’ upper reaches, there are mountain lakes and waterfalls, picturesque gorges. And at the very top of the valley there is a high wall with the most beautiful 5,170 meter-high double peak Oguz-Bashy (“Bull's Head” - from Kyrgyz) in the middle. At the watershed with the Karakol gorge rises a pointed Zhukov peak (4250 m). Kok-Debe (2700 m), Podkova (Horseshoe) (3500 m) and the Peoples Friendship peaks (3800 m) facet the left side of the Jety-Oguz gorge. “Jety-Oguz” resort is closer to Kok-Debe peak. Through the draws between the tops of Kok-Bel (2600 m) and Asan-Tukum (3600 m) on the same side of the gorge, one can descend to the neighboring Chon-Kyzyl-Suu gorge. 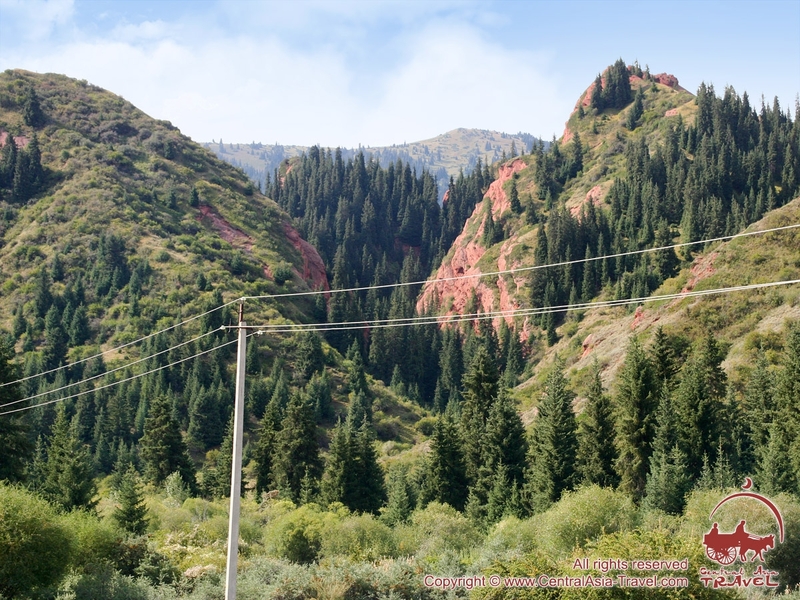 On the right side of the Jety-Oguz gorge is the Kashka-Suu pass, which is located above the resort, and along which you can make a fascinating journey to the “Karakol” resort. The fauna of Jety-Oguz canyon is rich. One can still meet the lords of highlands - snow leopards, formidable bears, vultures and eagles here. The mountains are home for herds of fast goats, wild boars, roes, black grouses, partridges, pheasants and other representatives of the region’s fauna. Jety-Oguz literally means "Seven bulls." Such an unusual name is associated with one sad legend telling about the origin of this picturesque place. In ancient times, two khans (governor) lived here, one of whom was kind and fair, and the other greedy and evil. Evil khan fell in love with his neighbor’s wife and kidnapped her. From that moment on, the two states unleashed the war with each other. The kind ruler demanded only to return him his wife. However, the advisors of the evil khan advised to kill the woman and return her body. The villain liked the idea, and soon khan’s court held a memorial feast in the mountains with many guests invited. Seven red bulls were slaughtered at the feast. After the last bull got breathless, evil khan himself stabbed the woman right. The blood from the heart splashed onto the rocks, soaking into the stones and leaving red dots on them. Along with the blood, boiling water poured from the mortal wound, and flooded the whole area, destroying the evil khan, his court and entire family. 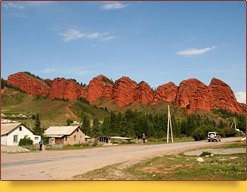 The skins of seven bulls formed seven red rocks. At the entrance to the gorge is one of the most romantic places for lovers - the "Broken Heart" rock. According to legend, the rock is the broken heart of a girl who died because two young men fought for her, and both died in the battle. Couples in love like to take photos against the background of this rock. 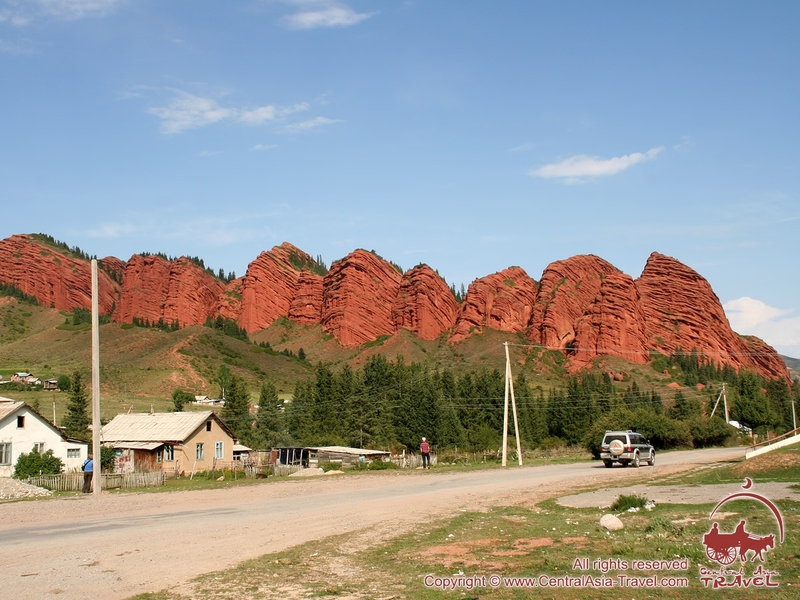 At the beginning of the Jety-Oguz canyon there is a beautiful place called Kok-Jayik, which is popular among holidaymakers. 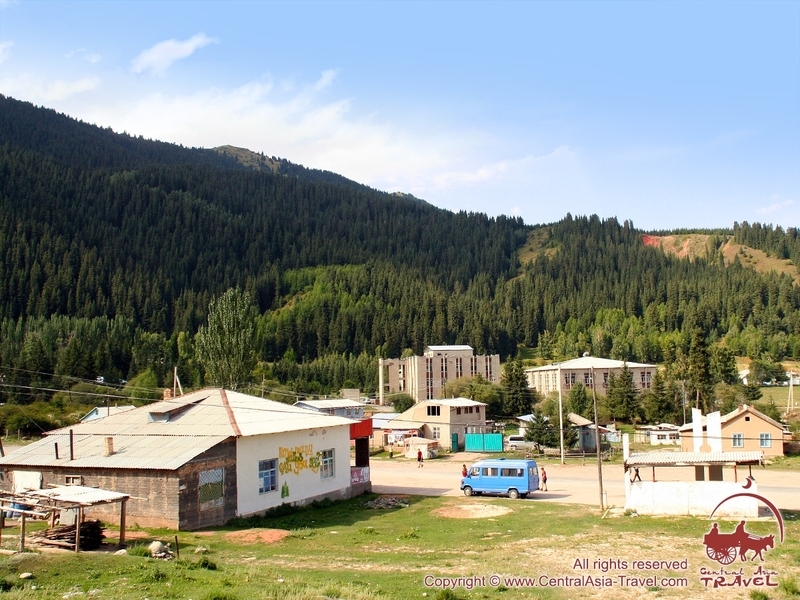 Tourists can stay in the yurt camps and enjoy the horse riding tours to the highlands and neighboring valleys. In the Jety-Oguz gorge at an altitude of 2,200 m above sea level is the famous cognominal resort, known for its healing radon-hydrogen sulfide springs. 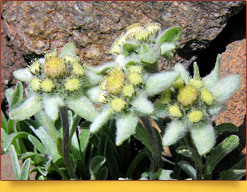 They help to heal rheumatism, gastric, nervous and skin diseases. The surroundings of the resort are famous for the number of many picturesque sites. The rocks diverge in the depths of the gorge, revealing a splendid panorama of mountain ranges covered with centuries-old Tien Shan firs. The climate of the Jety-Oguz gorge allow travelers to come almost all year round. Here you can take a walk to the Lake At-Jailoo and more than 19 meters height Kek-Jailoo waterfall. The passes of the Scarlet Sails (4500 m), Silver Saddle (4640 m) and Bai-Tor (4500 m) give a beautiful panorama of the surrounding mountains and glaciers-crowned ridges. Red cliffs, jungly mountains, multicolored subalpine and alpine meadows (jailoo), untouched protected areas, breathtaking panoramas - all this makes the Jety-Oguz gorge an extraordinarily beautiful, unique natural complex.